For users who have a current instance of uTorrent installed, and intends to use the Preliminary Installation Guides with the existing uTorrent Program, there will not be any trouble shooting information for errors in these guides, should they occur. 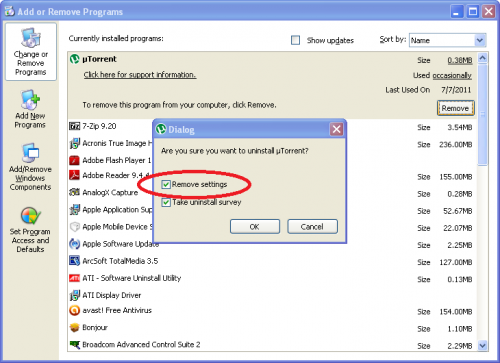 The instance of uTorrent for Media Center Master is for automation, it is therefore suggested that the user uninstall uTorrent, through the Control Panel, remembering to tick the optional check box to, also, remove the user settings during the uninstall process, then reinstall uTorrent using the Preliminary Installation Guides. If the option, in the example below, is missed during an uninstall, simply reinstall uTorrent, then uninstall it again. There is no need to reboot the system. This does not mean: "uTorrent can not also be used for manual downloads of TV Series/Movies and other items, at the same time with Media Center Master." It is a suggestion that the automation process should come as a priority over manual downloading. 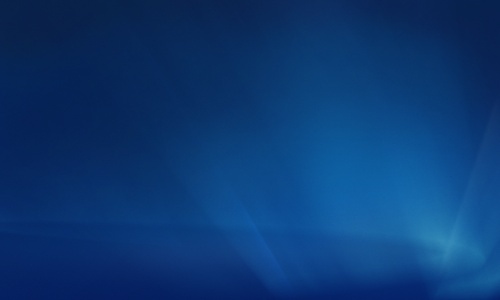 If a user intends to use this instance of uTorrent for Media Center Master along with manual downloads of TV Series/Movies, other items, the user should make additional changes after Media Center Master is installed, set-up, configured, and has completed a first run of Media Center Master with satisfactory results. uTorrent v1.8 - v3.0.0 have been tested and working correctly with these guides. New users not familiar with "BitTorrents," may wish to watch the short video, titled, "BitTorrent, Explained", found through the "See how it works" link, located just below the "Free Download for Windows" link, at the uTorrent Site. uTorrent v2.2.1 is used for the examples in these guides. Clicking on an image will bring up a view of the image in it's original size. These guides are written with the intent of uTorrent to be installed on the system hard drive (C:\) in the same computer Media Center Master is installed on. The set-ups and installations of the different versions of uTorrent, as a whole, are much the same in each version. All of the default ticks, options, can be used with Media Center Master. There are however two possible exceptions, depending on which version is chosen for installation. The user should make an informed choice regarding extra downloads of files/software to the system by accidentally missing the options (shown below), by systematically clicking on "Next." 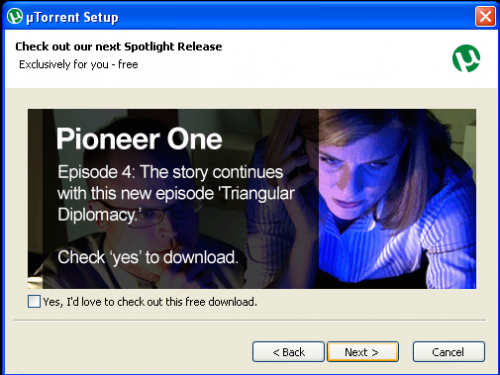 1st Option - uTorrent’s Featured Spotlight Release Download, shown below. After choosing, click next. 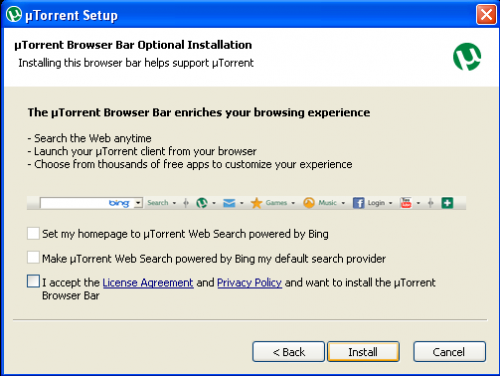 2nd Option - uTorrent’s Browser Bar Optional Installations, shown below. Make appropriate choices, then click Install.